In one HoloLens video, Microsoft shows the self-contained computer being used to review building plans and design a motorcycle as well as to play Minecraft. Before HoloLens appears in offices, though, there have to be applications that can overlay 3D images on the real world. 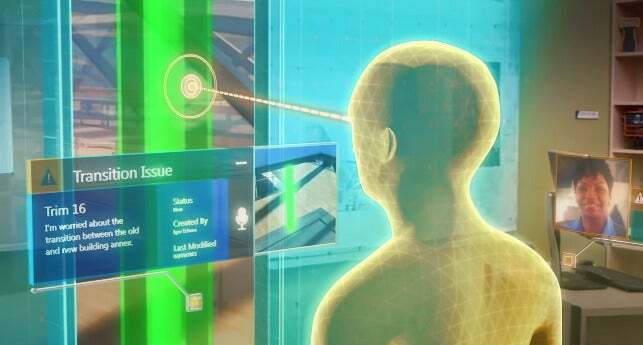 While Microsoft will most likely develop software for the HoloLens, outside companies will also create applications for the device. This week, Object Theory launched as one of the early companies to build enterprise software for the HoloLens. It was founded by Michael Hoffman, who mostly recently worked at Microsoft as one of the lead HoloLens engineers, and Raven Zachary, who started a company that built mobile apps for Whole Foods and Starbucks before selling the business to Wal-Mart in 2012. Existing game studios will handle entertainment software, said Zachary. Object Theory, in Portland, Oregon, will build HoloLens applications for businesses. Hoffman and Zachary won’t say if they have any clients booked yet, but they said business are interested in learning if HoloLens is right for them. At Microsoft, Hoffman worked on HoloLens partnerships with outside companies, and the reaction to the device was positive, he said. Businesses believe “the hardware has the real ability to generate value,” he said. Companies in medical imaging, computer-aided design and other fields have contacted Object Theory, Hoffman said. With HoloLens, doctors could study parts of the human body like the skeletal system and 3D designers could view their projects in scale. Zachary, who worked for Wal-Mart after the company bought his business, sees HoloLens being used in retail environments. 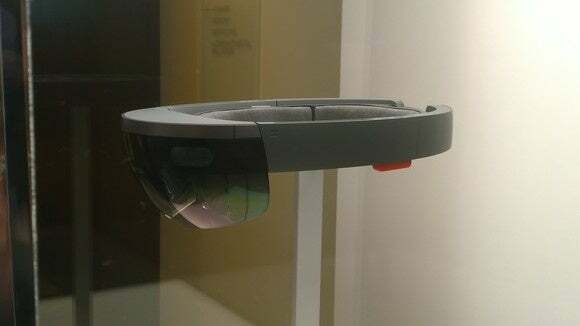 High-end jewelry and fashion stores and car dealerships could use HoloLens to show customers products that are customized to their specifications. Holograms can help retailers plan store layouts and shelf placement, among other in-store uses, he said. Object Theory can use the Unity game engine to create programs that will be similar to what a business would experience using a HoloLens program, Zachary said. Virtual and augmented reality always seem to be on the cusp of becoming mainstream, said Hoffman. What makes this time different is advances in the technology behind augmented reality, like gesture recognition, and in underlying components like batteries. “We’re getting to the point where all of the off-the-shelf technology is there, but we needed other technologies to be invented,” said Hoffman. The investments that major tech players are making in virtual reality also show the space is maturing, said Zachary. Other companies working on the technology include Facebook’s Oculus VR business, which is coming out with a virtual reality headset next year, and Google, with its Cardboard virtual reality platform. Meanwhile, Sony is developing a virtual-reality headset code-named Project Morpheus that can work with its PlayStation game console. Apple has the tech community guessing at its virtual reality plans since it posted job listings for engineers with a background in the technology. For now, Object Theory will stick with building applications for HoloLens. “As long as it makes sense from a business perspective, we would just stay focused on HoloLens and become really good at that,” Hoffman said. He’s confident Microsoft is dedicated to making the headset commercially viable. 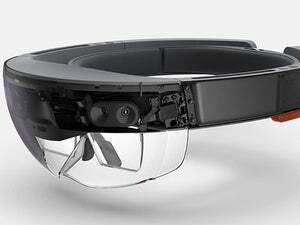 “Being close to HoloLens, I have confidence this project is real and Microsoft is in it for the long haul,” he said.